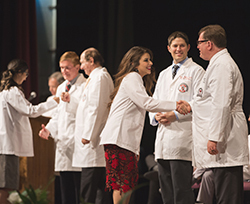 180 medical students of the class of 2022 who received their first white coat at the TTUHSC School of Medicine's White Coat Ceremony August 3. 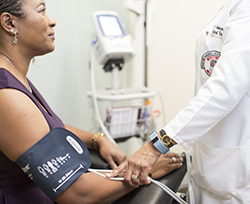 TTUHSC faculty and staff awards and appointments for 2018. Texas Tech Physicians - Dermatology will host a free skin cancer screening. Just as basketball fans wait every year for the tradition, excitement and upsets of March Madness, medical students await the same with Match Day. Fourth-year medical students from the Texas Tech University Health Sciences Center (TTUHSC) School of Medicine will participate in Match Day at 11 a.m. Friday (March 16) at the McKenzie-Merket Alumni Center, 17th Street and University Ave.
Texas Tech University Health Sciences Center (TTUHSC) announced a license agreement with PAI Life Sciences, Inc. to develop a vaccine for the human parasitic disease, schistosomiasis. 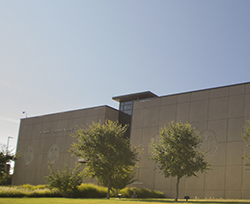 This is the first TTUHSC license agreement for a vaccine. Call for Research Abstracts. 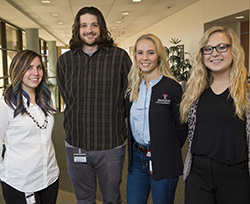 Every year, Graduate School of Biomedical Sciences students organize Student Research Week to showcase the work of the next generation of biomedical researchers and invite distinguished national and international speakers to present discoveries on a specific theme. 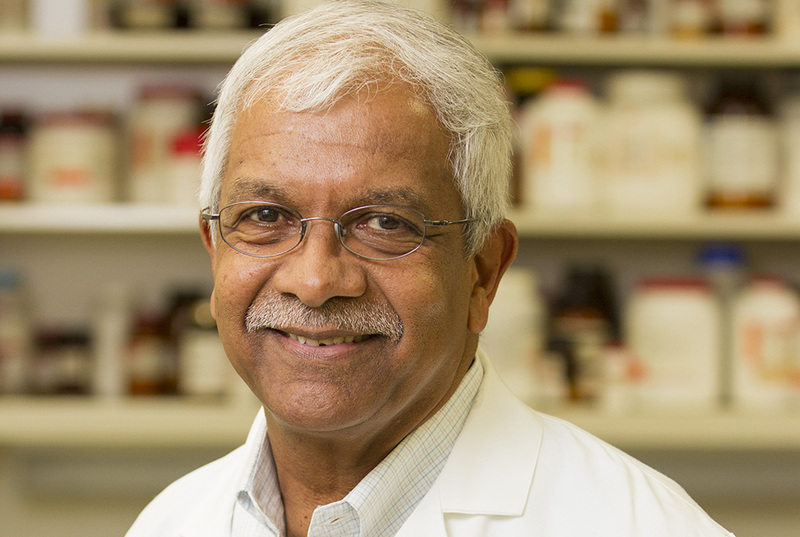 The Texas Tech University System today (Dec. 14) approved Vadivel Ganapathy, Ph.D., as a Grover E. Murray Professor. 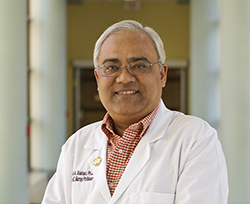 Ganapathy joined the Texas Tech University Health Sciences Center (TTUHSC) School of Medicine in 2014 as professor and chair of the Department of Cell Biology and Biochemistry after serving in the same capacity for fourteen years at the Medical College of Georgia at Augusta University. 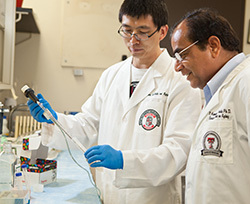 Researchers at Texas Tech University Health Sciences Center (TTUHSC) investigated a pump-induced disease and defined the molecular mechanism that triggers it. 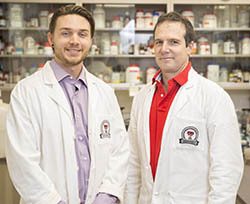 The study, “On the effect of hyperaldosteronism-inducing mutations in Na/K pumps,” was published in the October issue of the Journal of General Physiology.